Russell Griffiths is aiming to secure a Ladbrokes Premiership future for himself as well as Motherwell in a pivotal week. The on-loan Everton goalkeeper kept a clean sheet in his second appearance on Saturday as Motherwell edged out Hamilton to leapfrog their Lanarkshire rivals. 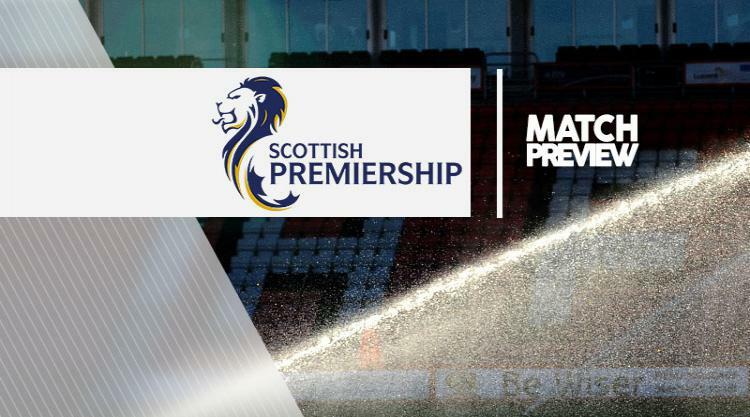 The 1-0 victory ensured the Steelmen will not face automatic relegation and they could avoid a play-off when they host Kilmarnock on Tuesday as Hamilton play Ross County in Dingwall. Griffiths made an impressive stop from Alex D'Acol with Saturday's game goalless and the 21-year-old hopes to earn himself a long-term deal with Stephen Robinson's side. "It was great to play my second game and to come out with a clean sheet was even better," said Griffiths, who joined Motherwell on loan in January after a temporary spell with Cheltenham. "There was a big sigh of relief when the final whistle went. It was a nervous game to go into but the gaffer told me before the game not to be nervous, just to go out and play my game and show people what I can do. "It was nice to make a save in an important game, it helps build my confidence up. "It's been a hard few months trying to get in the team but I have been patient and thankfully I have been able to play the last couple of games. "I played 24 games on the bounce at Cheltenham. I knew I wasn't coming up to be number one straight away, I knew I had to battle. I was hoping it would come a bit earlier but I'm happy now I'm playing and hoping I can see the season out strongly. "I'm a free agent in the summer so hopefully everything goes well here and I can maybe sign here. I'm still waiting to hear back from Everton and what their plans are. We'll get the next few games out the way and see where we stand and take it from there. "Obviously, depending on results, how I perform will contribute a lot to what happens with me next season." Killie travel to Motherwell safe in the knowledge they will be lining up for a 25th straight top-flight campaign come June. But caretaker boss Lee McCulloch's former club Well still have work to do to confirm their own safety and the former Rangers midfielder admits his players will have to cope with a team fighting for their lives at Fir Park. "It will be a hard game," he admitted. "The formation they play can be 3-6-1 at times so there will not be a lot of room in the middle of the pitch. We will need to pass the ball well. "With the situation they are in, it will be a great atmosphere under the lights. "It's my old club so I know the Motherwell fans can get behind their club very well. "We had a short meeting this morning and we discussed the atmosphere. We're going to have to deal with it, we're going to need to deal with the pressure they put on us so the quicker we can pass the ball the better."